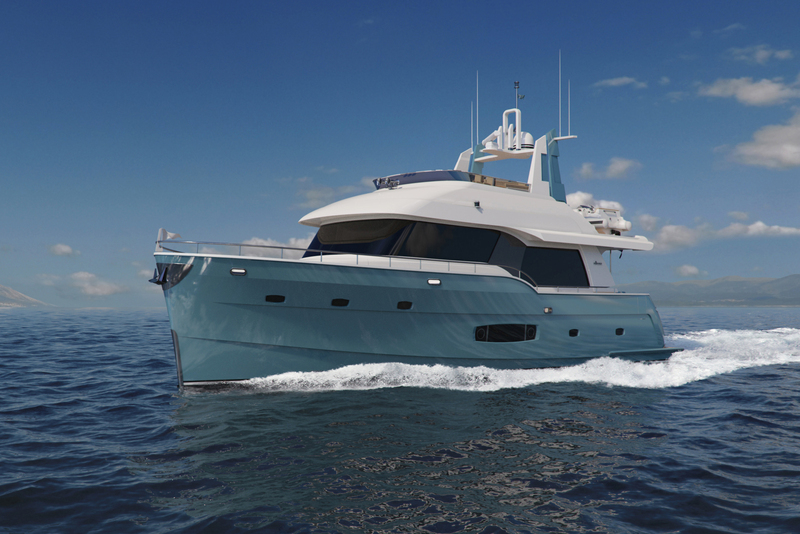 Outer Reef Yachts, the well-known builder of high quality long range motor yachts, is proud to announce the launch of an exciting new model line, the Outer Reef Trident Series. This new series boasts a notable departure from Outer Reef’s classic product lines that have come before her. 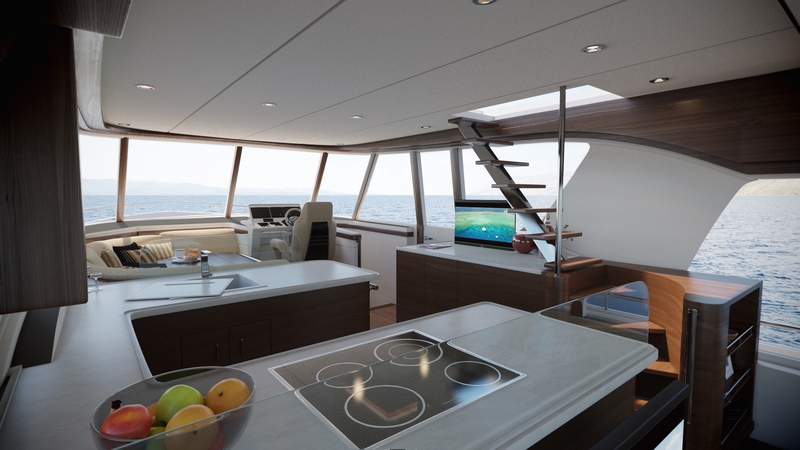 Developed in cooperation with Setzer Yacht Architects, the Outer Reef Trident Series embodies a unique synthesis of stylistic innovation, technology and functionality. The attractive plumb bow hull design, chic styling elements, and new length options are introduced with the 620 Outer Reef Trident Series. The series also offers superior performance, heightened speeds, and enhanced fuel efficiency, representing only some of the many features that lend to her appeal. 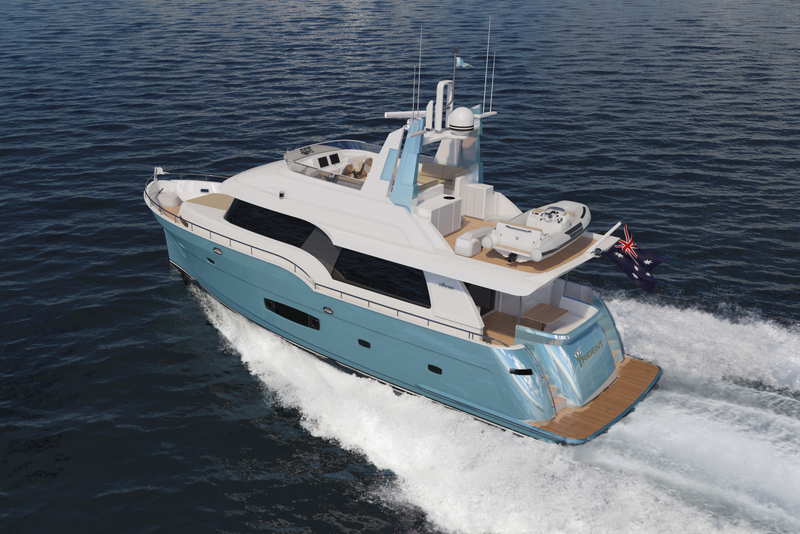 The Outer Reef Trident Series, as a production series, will uphold Outer Reef Yacht’s high quality manufacturing and un-matched customer service, while yielding two things: an attractive price point well below the competition, and an enhanced specification. 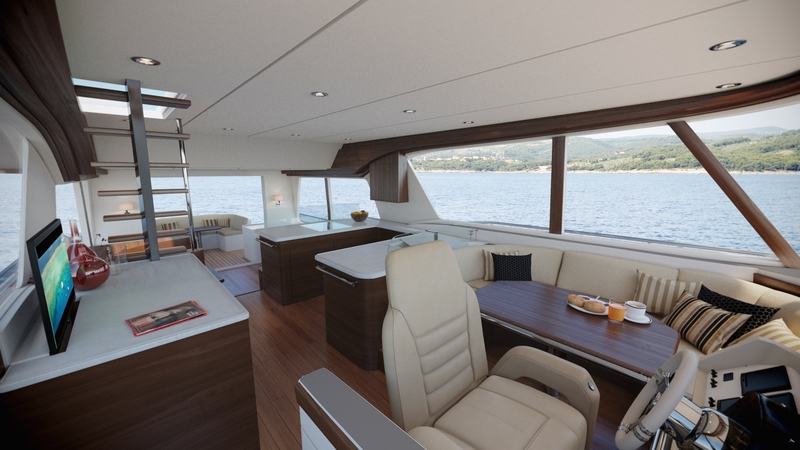 Differing from the company’s previous semi-custom product lines, the series offers her owners the flexibility of three attractive interior palettes including modern, transitional, or traditional elements, in combination with three interior layout configurations. 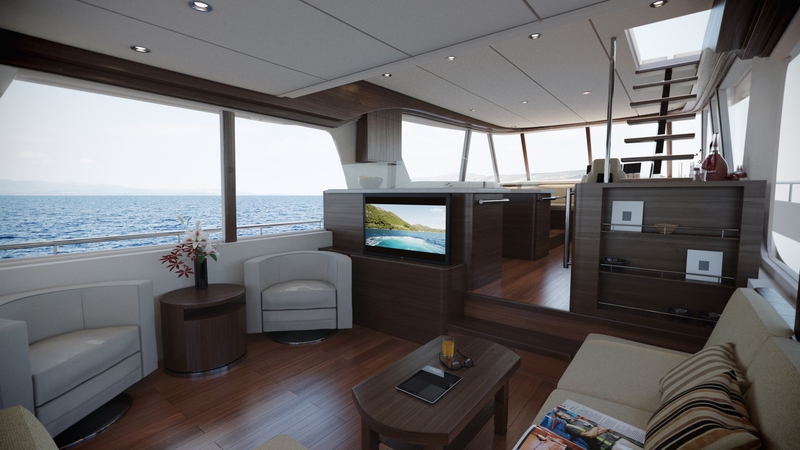 The innovative features of the new series continues to impress throughout the engine room. She is fully equipped with Cummins engines and pod drives (standard), which allows the 62 Outer Reef Trident Series to cruise at 16.5 knots. Cruising speed and efficiency is greatly increased by a newly designed hull, that performs like a planing hull at a higher speed, yet is very stable and seaworthy at slower speeds with her patented “Tri-brid™ ” semi-displacement hull design. 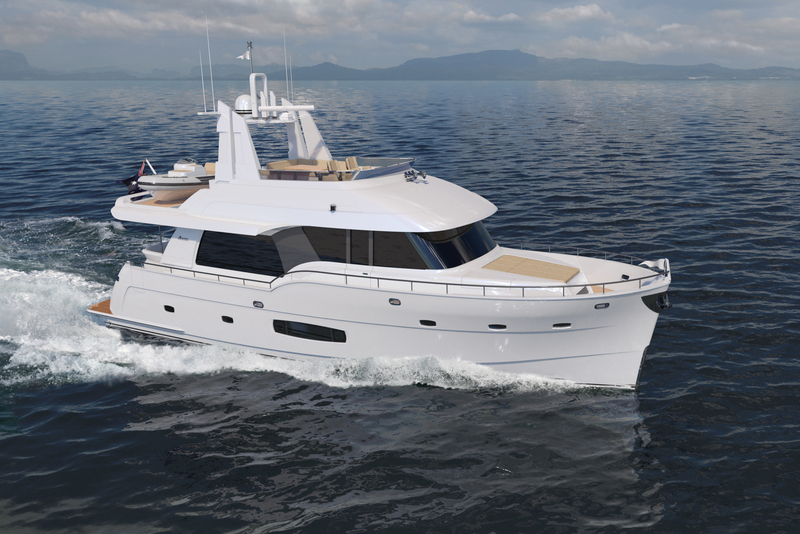 Even with resin infused technology, which guarantees perfect resin to composite ratios for weight savings, the 620 Outer Reef Trident Series still weighs in at 58,500 lbs. at half load. This is a robust displacement for a vessel of this size, hinting of her stout construction – a quality for which Outer Reef Yachts is world-renowned. The new Outer Reef Trident™ Series is currently available in three offerings – the 620, 720, 980 and 106 models. With remarkable style, utility, functionality and convenience, paired with Outer Reef’s highest standards in quality of construction and personalized service, the new Outer Reef Trident™ Series is destined to live up to the mythological symbolism for which she is named – the trusted, treasured object resting in the great hand of Poseidon, God of the Sea.